At HD Foundations, we see four common pier and beam foundation repair issues in Dallas, Fort Worth and Arlington, TX areas. They are largely due to soil motion and water damage. Since foundation repair issues grow increasingly larger, it’s best to deal with them right away. While all types of structures have problems, the fact that pier and beam foundations are elevated means that they can develop unique complications. Foundation movement is always a concern. A rotting substructure – Because houses with beams have a wooden substructure, they are prone to rotting and are easily affected by water, insects and rodents. It’s best to fix foundations right when this happens and avoid costly repairs issues. 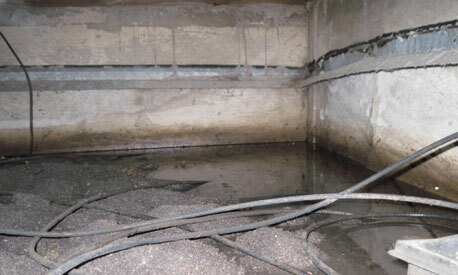 Unlike foundations that have ordinary problems and are constructed using concrete, pier and beam foundations have a crawl space underneath them and a great deal of moisture commonly accumulates in this area. Moisture is a major factor and can seriously affect any wooden members used during construction. Before fixing your house, you may want to learn about the pier and beam foundation repair costs. Because foundation problems frequently escalate, fees get worse and charges could exceed $10,000. Fixing your foundation is the best solution. Concrete piers that aren’t properly spaced – It’s imperative that concrete or steel foundation piers don’t move (motion is an issue) and are placed close enough together to be effective. Piers are generally spaced about 6’ apart in order to effectively bear the load of the house or other structure. The more piers used, the better the structure will be supported and the fewer problems the homeowner will have. 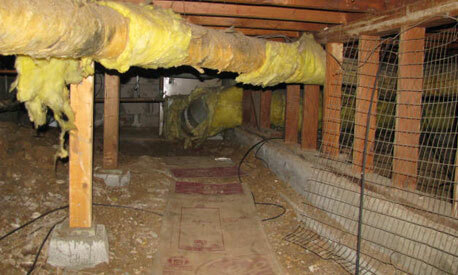 That’s why foundation repair is often needed to avoid costly issues with pier and beam structures. If beams and piers are properly positioned and there there are an adequate number of foundation supports used, your structure will be stable and not get worse. Girder beams must be large enough to render positive results or sagging will occur. The standard size recommended for these beams is 4’X6’. Soil movement affecting piers – Over time, steel or concrete foundation piers can shift. Motion caused by soil and water conditions, especially in the North Texas area are concerns. Pier and beam foundations gained popularity in the later part of the 1960’s and many of the homes you see today are old and are damaged due to soil movement. This is a common issue. Water damage – Since these foundations are not flush with the ground, complications commonly occur due to water and the moisture that form underneath them. This causes deterioration. It’s very important to have a drainage system that can direct water away from the foundation. Water is a bigger issue with these types of properties than those built on slab foundations. If you live in Arlington, Dallas or Fort Worth and have issues, schedule a free pier and beam foundation repair estimate online today.